Then you add in the little fact that you and your spouse are people, too. You might have hobbies. You might volunteer for things. You might have activities and obligations that can take up time. I am in awe at the sheer number of things that could be pursued in life. In our age of the Internet, eBooks, and YouTube, you can learn to do just about anything you want to do. We see long-lost friends from high school doing one thing, that roommate from college doing another, and our neighbor doing something different than the previous two and we can easily tell ourselves we need to do all three. I love learning. I love hobbies. I love helping and being involved. I love seeing my children try new things and gain skills in a variety of subjects. I have a hard time knowing what to do with the time we have been given. And so a quote like this that comes along is my North star. It really makes things easy to prioritize. 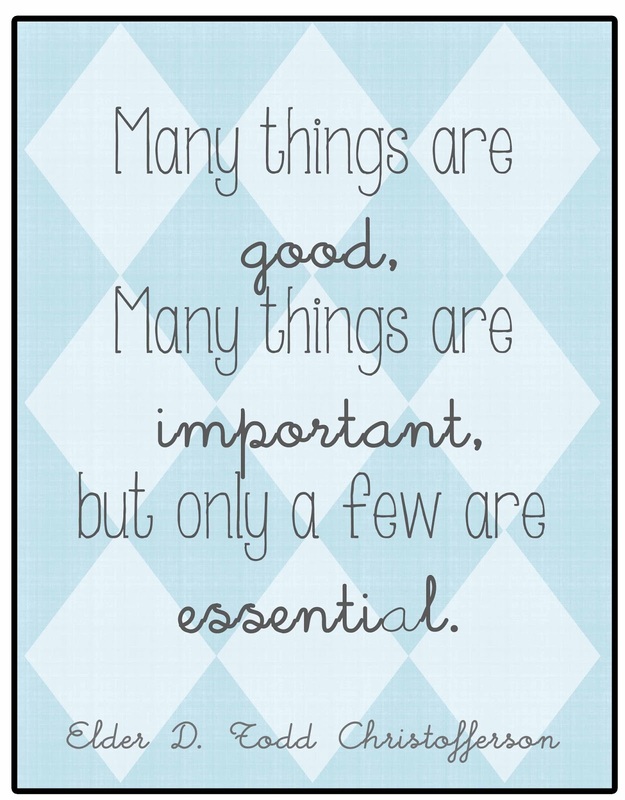 “Many things are good, many are important, but only a few are essential” Elder D. Todd Christofferson. The trick is to work through that list backward. What is essential in life? I know, I bring this up all the time! That is because I love it. For me, prayer is an essential thing. 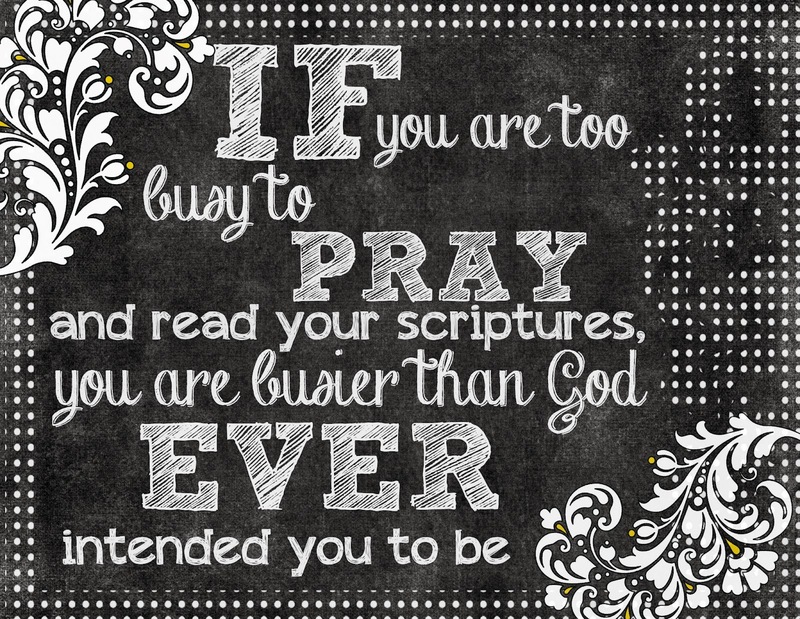 If ever my life is so busy that I forget to pray or put off praying, I know it is time to reevaluate and cut some good things to make room for my essential things. 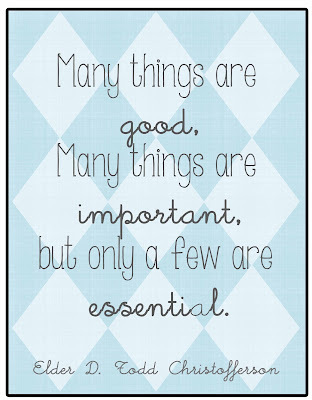 I am not here to tell you what things are essential and what are “only” good. That is for you to decide. Think about the ways you spend your time and decide where they fit in this list. You will never be able to do all of the good and even important things you see available before you. But you will be able to do the essential things. Those are the things you will look back on later in life and feel good about spending your time there. Focus on the essential things and everything else you do each day will be a happy bonus. Jerusha, I think that is so true! It is definitely a way Satan gets good people to not be anxiously engaged in what they should be. They don't participate in things they know are evil–he knows we won't go there. So instead we focus on things that are good things but just not what should be our top priority. We let good things come before the best things and are left feeling muddled and frustrated and therefore confused. I really find I have to go through a realignment every so often. I have to sit down and literally write down and go through my activities and make sure my priorities are all set straight.